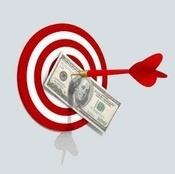 The whole idea behind solo ads is to buy from a source that is reputable and well established. 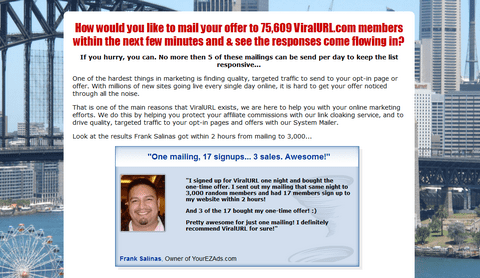 There are plenty of good, reliable sources in the market, but there are also people selling solo ads and have no list, or a very poor quality list made of dead or fake email addresses. What you should keep in mind is that good solo ads are not cheap, so you don’t want to throw away money on disreputable vendors. Like with every other purchase that you make on the Web, you want to see what other people say about the solo ad offer you are looking into. You should try to find forums where people discuss solo ads and see what they say about the vendor you have in mind. Be careful about fake reviews; although it is hard to tell what is real and what is fake, look at how natural it sounds. In addition to that, real reviews are rarely completely positive. They will say that the solo ads they bought from a certain vendor worked, and then they will talk about one or two things that they didn’t like. Solo ads are by nature expensive. People have invested time and money in creating lists that have tens of thousands and sometimes hundreds of thousands of email addresses. They will not let these go for peanuts. If a solo ad offer is very cheap, it is most likely that it is full of dead or fake email addresses, and if you buy from them you will be throwing your money away. The swipe copy is the email you send to the solo ad vendor to send to his list. Be careful when you are writing this content. It should be short and to the point, and be very emphatic. If you make it long you can almost be sure that it will not be read through. If you don’t make it interesting it will not be read through. Do everything you can to make sure that you get people to read your email all the way to the end. You are already ahead just by buying solo ads; your ad will be seen by a large group of potential buyers, but don’t forget to put a good call-to-action to increase your CTR (Click-Through Rate). Make sure you take the time to write a good call-to-action, as it’s one of the most important aspect of your ad. Also, instead of trying to get them to take your offer and spend money with you, you should consider directing them to a squeeze page and offer them something in exchange of their email address. Are you looking for a solution to get more views on YouTube? SocialMonkee comes with a feature called the ‘Social Viewer’ that allows you to submit YouTube videos and get more views, likes, subscriptions… SocialMonkee costs just $7 to join (it’s a one-time payment), and all you then need to do is to install a Firefox plugin that will watch YouTube videos for you (you can leave it run in the back) so you earn credits that you can then use to submit your own videos. All the views, likes and subscriptions you will get come from REAL users, NOT bots. The statistics speak for themselves; there are more than 1 billion unique visitors on YouTube each month. In total, 60 million hours are spent on YouTube in the same period and this is from 61 countries around the globe. What if you could get even 1% of these people to see your videos? Wouldn’t that transform your business? But how do you get more YouTube views? Are there specific things that you can do to make sure that when people get on YouTube they can see you? Indeed there are and if you do them right, you will start to see not just more hits but more leads on your site as well. – Proper titles: You must make sure that the titles of your videos are relevant to your product or service. If you sell baby products and then make a cute video and title it “cute toddler”, you have not related the video to your products and you will not get attention from new mothers and fathers who are looking to buy clothes for their kids. – Be creative with titles: Unfortunately, with so many people doing clever things with YouTube videos, we are now forced to work a little harder to get noticed. Get titles that say that your video is fun and engaging to watch. – Thorough descriptions: You are given some room to describe your video so use it. Be as accurate as possible about what your video is about and then make sure to link it to your website by describing your business and what you sell. – Use more tags: You are provided with a tags section which you are supposed to use to fill with keywords that are relevant to your niche. List all the keywords from the title and the description. A clever trick is to look for popular videos and use the tags in those on your own video. Although many people don’t know it, the way you share your video after posting it is very important. To start with, always share a video as soon as you post it and not days after. If you share late and people see that the video has been up for a while with no hits, they are more likely not to pay attention to it. Second, don’t share your video with your email list. Rather, share with family and friends because they are more likely to pass it on. Utilize all your social media accounts when you share and make sure to talk to a few people you trust to get an interesting conversation going. – Remove long pauses using a video editor. They cause videos to run for unnecessarily long. – Get some music in; it is more fun to watch a video that has a nice audio track that one which is completely quite. Even if you have someone talking in your video, add some background music but make sure that it doesn’t overwhelm the speaker. – Add contact information for anyone who may not be watching on YouTube. This includes your website link, your Twitter handle and email address. This clever trick can get you a substantial number of new viewers but you have to know how to do it properly. Responses are whatever users post at the bottom of a video after they watch it. If you look for the most popular videos and then add a comment and a link to your own video, you may get some users clicking from the popular video to yours. You must however make sure that the comments that you add are relevant to the video which is popular; otherwise, your comment will look out of place and you will not get much of a response. The more active you are on YouTube the more likely you are to get noticed and create a name for yourself. Follow and subscribe to the more popular people on YouTube. Interact by living messages. If people think that you are with the popular crowd, they are more likely to want to view your videos and pass them on to their friends and family. YouTube has the power to grow your business but you have to know what to do and how to do it. The tips listed here may be few but they can help you get more and more views. If you are looking for a solution to get more YouTube views, make sure you give the SocialMonkee ‘Social Viewer’ a try. 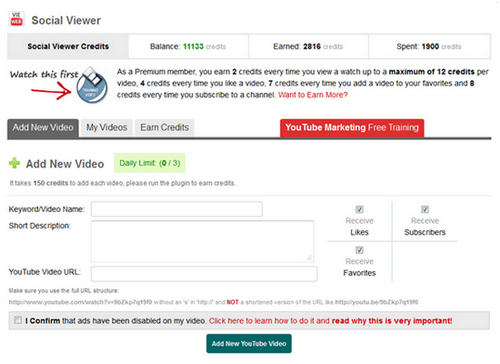 It will help you get REAL views, likes, subscriptions… This will give your videos the boost they need! Want Real YouTube Views, Likes, Subscriptions..?